Mirrored surfaces are such fun to take photographs of. There is so much detail in each reflection. 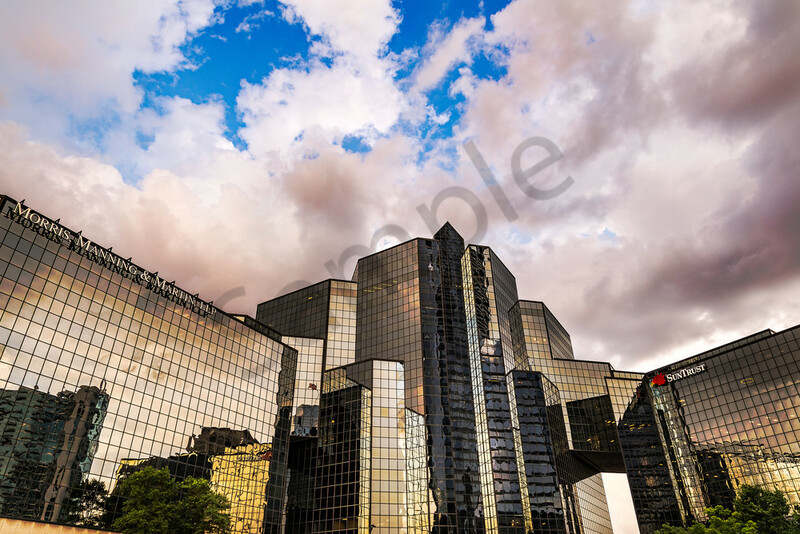 This is a great building to capture, and the evening I took this, the sky was dramatic, which made for a great shot. If you love Buckhead, Atlanta architecture, this would be a great shot for you!